Recently I got to spend more time over one week in Jerusalem’s City of David than I’ve spent there in the past 3000 years. Living a mere 15 minutes from Jerusalem I try to be mindful of how incredible it is to have the privilege to be in the holy city often, even for things as mundane as business meetings, to see a movie, or go shopping. However, there are special places within Jerusalem that are at the very foundation of the city, literally, and being able to spend time there is indescribably awesome. The excitement of any visitor is magnified by that of AnaRina Heymann, Director of The Jerusalem Watch. 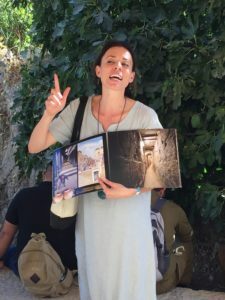 Her passion for being able to share and connect people to the City of David’s significance is matched by the abundance of information she transmits; connecting ancient Jerusalem, the bible, and making that come to life with incredible depth. Because Jerusalem is built with Jerusalem stone, a pale limestone common 3000 years ago and today, I’ve always been frustrated that pictures don’t do the scenery justice. Up close the majestic beauty is vivid, and made even richer by the dimension and color AnaRina adds. While the history of the City of David goes back 3000 years to King David, only in the past 150 years was it clear that the original biblical Jerusalem lay just south of and outside what’s today known as the Old City. It doesn’t make the Old City any less significant, but in finding and excavating the original city makes THAT all the more important. It’s the very foundation of Jerusalem, wrapped up in biblical prophecy that’s unfolding today, the foundation of both Judaism and Christianity, and of course biblical history and modern politics. Simply, visiting the City of David is a must for anyone visiting Israel. In 1867, British officer and engineer Charles Warren set out to discover Jerusalem. He was the first to begin to unearth 2000 years of civilizations that had been buried as foreign occupiers destroyed and then built new atop the old. For thousands of years, while the world looked inside the relatively modern walls of the Old City, the original Jerusalem lay buried. Just 50 years later, Britain issued the Balfour Declaration, the world power affirming the Jewish right and destiny to return to Zion. In the same year, as he conquered Jerusalem from the Ottomans, and in a moment of great humility, General Allenby depicted how awesome a moment it was and dismounted his horse to enter the Old City by foot. If he had only known what lay buried just several hundred yards south and east he might have prostrated himself and kissed the ground. Fifty years after Allenby conquered Jerusalem, Israel, already a thriving albeit newly reborn Jewish state, reunited modern with biblical Jerusalem. And today, 50 years later and 150 years since Charles Warren discovered the ancient City of David, the intersection of the bible as a roadmap with modern archeology is revealed one bucket of dirt at a time, with stones restored one by one to the wall of the city King David built. There are many unique and indeed compelling aspects of a tour of the City of David that are a must. Each will have his or her own highlights. Mine were varied. I saw a 3000 year old olive tree just south of David’s palace. Did David plant it or was it planted at his instruction? Either way, the tree has witnessed and survived countless wars and sieges, majestically still bearing fruit today. 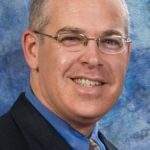 I appreciated a deeper understanding of ancient Hebrew and how the biblical names overlay the history and geography, and enrich understanding of the biblical accounts about which we read and pray. It was awesome seeing actual spots at which biblical kings were anointed, where King David spotted Bathsheba bathing, and where pilgrims prepared to ascend to the Temple, providing a vivid depiction and understanding that’s unparalleled and transforming. With an ancient aqueduct at the end of my block miles away that used to provide water to biblical Jerusalem, it’s incredible to see Jerusalem’s original water sources, and engineering to harness the water before our eyes. Seeing the prophesy of Isaiah 37:33, “Therefore this is what the LORD says concerning the king of Assyria: “He will not enter this city or shoot an arrow here. He will not come before it with shield or build a siege ramp against it.” In fact, archeologists have found arrows only from the Babylonian and Roman period, but none from the Assyrian besiegement. The second part of my visit was to the new night time multi-media program, “Halleluyah.” I enjoyed it thoroughly and found it meaningful on a variety of levels. 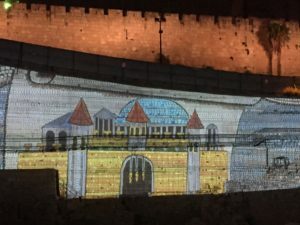 Children and those who are more visual will especially appreciate this unique multimedia presentation of Jerusalem’s history, where the canvas depicting the destruction and restoration of the city is the actual walls of the original City of David over which Jews wept 2500 years ago. In short, I came away with the awareness that there is no more significant place in Jerusalem. It underscores 3000 years of unbreakable Jewish history as well as the foundation on which Christianity was born, and makes the 1400 year old mosque sitting above it seem all the more out of place. As I emerged from a hefty hike ascending through an ancient drainage tunnel from the bottom of the City of David until almost the point where it reaches the Temple Mount, I was refreshed by a cool breeze. But I was chilled by the realization that in this same place, the breeze that felt so good to me was the same breeze that David himself felt sitting in the exact same location. I found another unintended meaningful part of the visit. At the end of the “Halleluyah” multi-media presentation, the prophesy of Jews returning from exile is depicted, beginning with Nehemiah and continuing throughout the millennia, including me and my family. Animated arrows represented the sources and origins of Jewish migration back to the Land. But it is also a metaphor for something archeologically incontrovertible. The opposite of arrows and siege, is strength and reinforcement. Unlike the arrows found from ancient armies that sought to conquer Jerusalem, these arrows depict the prophetic Jewish return to the Land, also representing the strengthening of Jerusalem today, which is how we will continue to be protected from arrows and sieges in the future. If you want to see and understand the foundation upon which Jerusalem, and all of the past 3000 years of Jewish history, is built, and to see the fulfillment of Isaiah’s words, “Shake off your dust, arise sit enthroned, O Jerusalem,” the City of David needs to be your next stop. Hope to visit in the not too distant future. Lshana tova to all the Fedsteins.